Happy Monday Everyone! I have a treat for your today. Freelance editor Maya Rock is here with a guest post on what to look for your freelance editor contract. 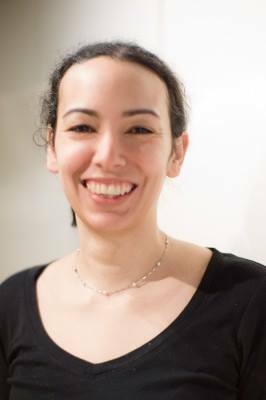 Maya has been a freelance editor running Rock Editorial Services for six years and was formerly a literary agent at Writers House. Before we get to her guest post, I have some follower news to share. Hiring a freelance editor is a step many take before pursuing an agent, publisher, and sometimes even while in the midst of fulfilling a book contract. If you’ve decided to hire a freelance editor, here are some terms to nail down before you begin working together. Getting these terms straight will ensure that your work together proceeds smoothly. Please note that many freelance editors do not use formal agreements but are still legally bound by what they put in writing over email. 1. RATE: Before you move forward with hiring a freelance editor, you should know how much the entire project is going to cost. Once you know the rate, you might want to determine whether this rate is in line with what others in the field are offering and, of course, make sure it fits into your own budget. 2. PAYMENT: How does the freelance editor want to get paid? PayPal, check, and credit card are all possible options. What’s the payout? Half up-front, half on-delivery? Sixty percent up-front, forty percent on-delivery? All on-delivery? All on-agreement? Does the freelance editor have a certain timeframe that they want to be paid in? For example, I give authors seven days to send the payment after delivery. 4. FORMAT: Make sure that you know what format the freelance editor wants to receive your material in. As a Word file? A single attachment? Do they have guidelines for how the file is formatted? It’s traditional in the publishing industry to have double-spacing, one-inch margins, and pagination, and it’s likely your editor will want your manuscript formatted like this, too--but it won’t hurt to make sure. 5. DUE DATE: When is the editor going to get back to you? Not all freelance editors give precise due dates. If your editor doesn’t give a due date, will he or she tell you what month or week they’ll come back to you by? Without a clear timeline, you run the risk of having the project drag on. Granted in traditional book publishing, hard and fast deadlines are not that common, but that doesn’t necessarily have to be the case in freelance editing. 6. FOLLOW-UP QUESTIONS: Does your freelance editor have a policy for handling follow-up questions? Can you speak on the phone, or will the freelance editor only answer emailed questions? If the phone, for how long? If your freelance editor does email follow-ups, how long can the emails be? How long will he or she accept follow-up questions for? After all, if you come back two months after the freelance editor has read your manuscript, he or she might have forgotten too much to be effective. GIVEAWAY: I’m giving away a twenty-minute over the phone query letter critique! Maya is generously offering a 20 minute over the phone query letter critique. To enter, all you need to do is be a follower (just click the follow button if you’re not a follower) and leave a comment through November 5th. If your e-mail is not on your Google Profile, you must leave it in the comments to enter the contest. Just let me know in the comments if you do not need a query critique too. Next Monday I have debut author Jill Diamond and her agent Jennifer Rolfe here with a guest post and giveaway of Jill's MG mystery LOU LOU AND PEA AND THE MURAL MYSTERY. The following Monday I have a guest post by debut author Monika Shroeder and a giveaway of her MG contemporary BE LIGHT LIKE A BIRD. The Monday after that I have an interview with debut author Jenny Moyer and a giveaway of her YA science fiction FLASHFALL. Tuesday that week I'll be participating in the Gratitude Giveaway Hop. Congrats to Bish! Wishing her well with her books. It's nice to meet Maya. Thanks so much for these great tips. Congrats to Bish! It's a really cute story. Those are all things I considered before taking on a new editor for DLP. Another key consideration is how well can you work with that person. As for the editing, you want to make sure they know what they're doing too. Thanks for the shout out, Natalie. As the moment, I don't need a query critique. Congrats to Bish! And those are excellent things to know before dealing with a freelancer. Great tips from Maya - thanks! Also love her name - same as my daughter. ;) Please save the query critique for someone else who needs it right now. And congrats to Bish on your book release! Good tips. I've not needed to pay someone, but it helps to know some of those things even with critique partners. Very nice to see Bish here today! She's done a wonderful job of getting word out about her book. Thanks for the tips about hiring a freelance editor. They're very helpful. I've never hired a freelance editor but if I ever decide to go that route, these tips will be great to have. And I'd love a query critique. Thanks for the opportunity. I did use a freelance editor for my first book. It was invaluable, especially the mentoring that came with it. I'd love a query critique. Thanks for the giveaway and the great tips! Thank you for the tips. A query critique would be neat! Great tips for finding an editor to work with. I never would have thought of number three and I could see it being a surprise. Wow, such useful information. I'll admit, I hadn't even thought about most of these yet but that's why I follow these blogs. You guys inform me even when I'm just poking around! Thanks for the excellent post/advice. Thanks for the information Maya. Having an editor is really important. Not entering for the phone query. Excellent post, Maya! Always looking for another freelance editor for future projects. It's great to meet you! What a fun book cover! Thank you for the informative post, as well as the exciting giveaway. Good info -- and thanks for the giveaway opportunity! Perfect inspiration for today! Thank you again! I'd love a chance to win the 20 minute session. Thanks for the opportunity. Great questions to ask before moving forward with an editor. And congrats again to Bish! Good tips for working with an editor. I wish I had seen this post a couple years ago! Thanks for the chance at the query consult. Nice! Love these "before you..." posts. Thanks! Having worked with a few editors, I was nodding my head along with pretty much everything. Awesome advice. Loving the cover and setting of The Bowl and Stone, timely with its creepiness too. No need to enter me in the giveaway Natalie. Excellent tips, Bish! Since I've done a tiny amount of freelance editing and I've had one bit of professional editing done, I think one of the most important topics beyond payment is the formatting of the editing - google docs, word comments, or? This post is very timely for me as I have been thinking of getting a free lance editor for my books before I submit to agents in the future. Thank you for the tips--would love a query critique. Awesome advice for terms we need when working with a freelance editor. Thanks so much! Would love a query critique! Awesome tips. Crossing my fingers for the query critique too! I'll mention this on my twitter, too. Great post, and thanks for the giveaway! Congratulations to Bish on her new book! That is indeed scary if someone disappears in front of you like that! 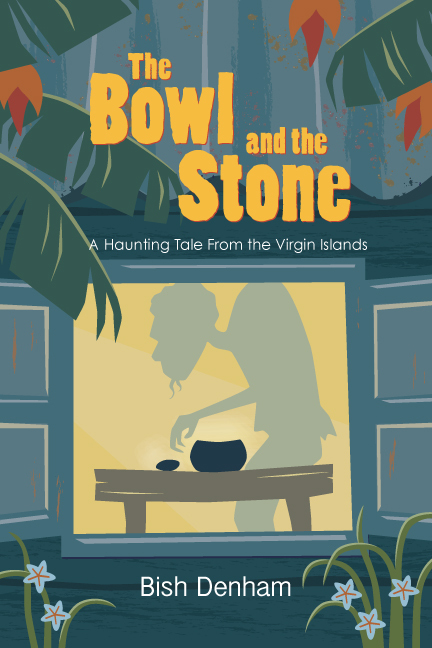 The Bowl and the Stone is much more than a haunting tale from the Virgin Islands. It is a great ghost story , set in an exotic locale with plenty of Caribbean soul, AND it also is a story of the meaning of friendship. The relationships between the main characters, Sam, Nick and Trumps, are the heart of the story and provide real depth and great life lessons. I really enjoyed the book and hope to hear about more adventures Of Sam and her friends on the enchanted island of St. John.